It was a week of reverse summer weather on the islands, mostly hot days but with daily showers in the mornings, rather than late afternoon. The only exception was yesterday when we had rain “off and on” pretty much all day. A similar summer forecast continues with humid 90-degree days, more showers, and high 70’s at night expected for the next week. The good news is the island is green and “blooming”. Although the island is not as busy this week as during the two weeks either side of the July 4th holiday, our listings had more showings and our Multiple Listing Service reported a couple of sales. 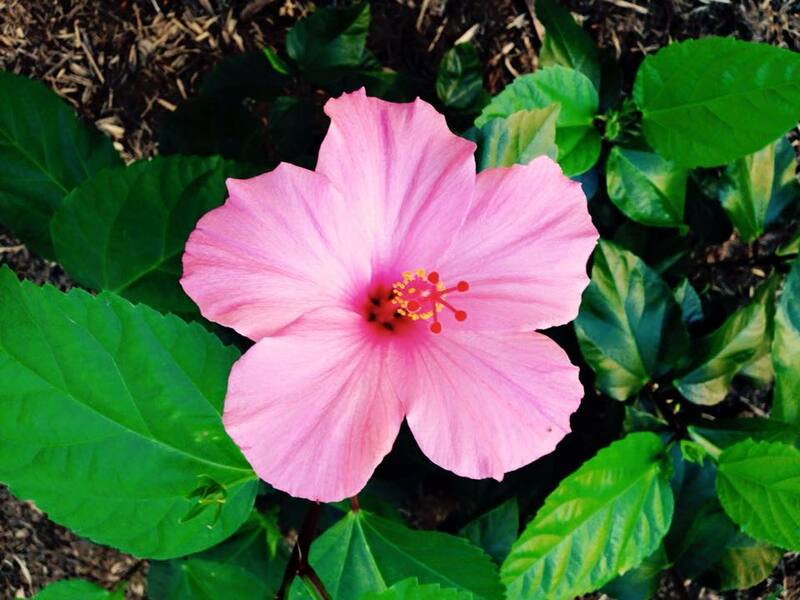 The activity posted in the Sanibel & Captiva Islands MLS follows a couple of news items below, including a report about our July Association of Realtors® Membership Meeting. 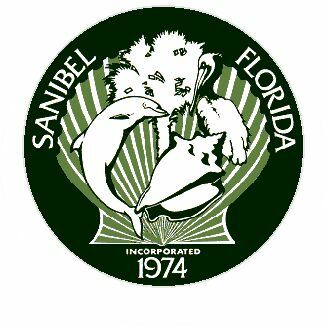 The SanibelSusan Team is busy finishing the annual update of our database. Since most of the “season” sales now are closed, we soon will be printing and mailing our island inventory list booklet. This booklet is organized by island (Sanibel and Captiva), property type (condo, home, lot), and community or subdivision. It includes details on current inventory, as well as recent sales – good info whether you want to protect your investment, learn about the market, or if you are thinking of buying or selling. If you are not on our mailing list, but want to be, just give us a call or send us an email. Though the last few weeks have been unusually slow, island inventory is low. Back in 2004, though that August was the month of several hurricanes, it also was one of my highest production months. Sometimes island real estate activity is driven by different outside elements including early fall weather somewhere or island-lovers remembering how the weather was back in their hometown the previous winter. Sales will pick up again so if you want to be up-to-date on the real estate happenings here, contact us now for your no-obligation copy of the booklet. 2015 Nominating Committee – Monday had me finishing up my obligations on the local 2015 Association of Realtors® Nominating Committee. We interviewed several applicants for two upcoming board vacancies and have submitted recommendations for officers and candidates to the current Board of Directors. Election will be at our October annual meeting. Jenny Evans, SCCF (Sanibel-Captiva Conservation Foundation) Native Plant Nursery Manager, updated us on the progress at the 28+acre Bailey Homestead Preserve property which SCCF acquired in 2011. She knew we have been wondering when it will open and what has been going on there. That is the parcel across the street from the Donax Street/Periwinkle Way intersection. The back 19 acres of the property, which go as far back as The Dunes subdivision, will be undeveloped for wildlife habitat, while the front 9 acres bordering Periwinkle and where the old homestead sits, will be open by this fall (they hope). This is where drivers-by have observed plenty of activity over the last few years. Jenny said that much of the land was covered with invasive exotics – not so much Brazilian pepper which has been mostly removed thanks to the island-wide City Brazilian Pepper Eradication Program enacted in 1996. But, rather, covered with what she called secondary exotics which had choked out the native vegetation and the resulting wildlife habitat. So, their focus has been on removing invasives, repairing the old homestead structure itself (thanks to the Sanibel Hammerhead carpenters), building a new rest room (was interesting that SCCF had the same permitting problems that others experience here when trying to improve older non-conforming structures), preparing the parking areas, and building/planting around a large pond. The Native Plant Nursery will eventually be completely moved to this location with their new site plan providing for a variety of sample garden areas followed by the plants for sale. There also will be an open pavilion for classes and presentations. Although the Bailey home will be open for viewing too, the focus of the preserve will be conservation. Entrance to the property will be shared and is where Pond Apple Park parking area is. The interior Homestead Preserve road once inside the property runs parallel to Periwinkle Way, which is why observers have seen so much activity there. Already open is the Shipley Trail which connects two City parks, Roadside City Park on Periwinkle and Pond Apple Park/Trail which begins at the Chamber of Commerce. 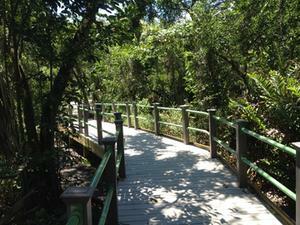 The trails are connected by the Starr D. Thomas Memorial Boardwalk which was built in partnership with SCCF and the City. Jenny reminded our members that each new island property owner receives a free 1-year membership to SCCF. They can get a property visit from a Landscaping for Wildlife expert too, to help them join in SCCF’s mission. James Evans, Sanibel’s Director of Natural Resources (& no relation to Jenny), further updated us on invasives and offered some excellent tips on what to look-out for when working with new Sanibel buyers. Unfortunately, his presentation was cut short because of time limits, so we hope to have him back again soon. “Another Milestone for Florida…Each year the Realtor community sets new goals and challenges for each other to surpass – 2015 is no different! 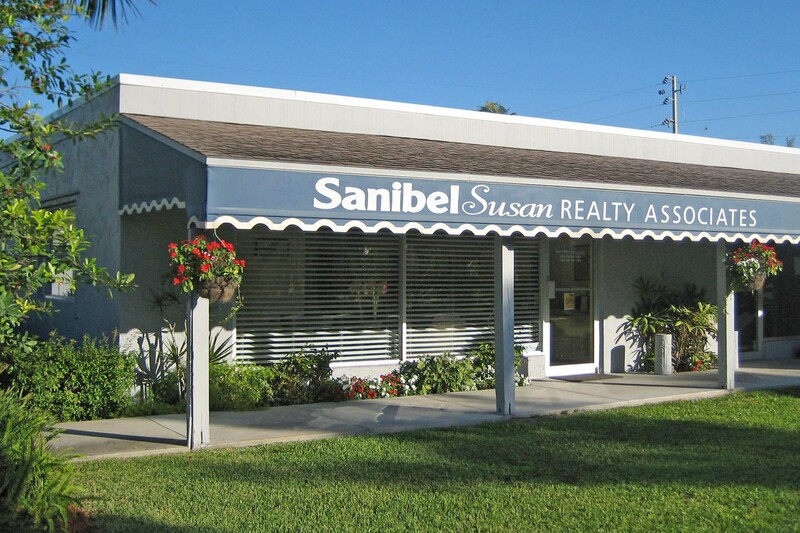 This year, the Sanibel and Captiva Island Association of Realtors (SCIAR) has set a new standard by raising $41,875 for the PAC. While this may seem small to some of our larger boards around Florida it represents raising 1193% of their goal AND 100% participation of SCIAR membership; this is a first in Florida and potentially a first for the REALTOR community nationwide. Our Sanibel/Captiva Association believes in this PAC because we have seen direct results. Our contributions support cleaning waterways, beach renourishment, competitive and affordable flood insurance, protecting the environment, protecting against ordinances harmful to real estate, and electing Realtor®-friendly legislators who protect property rights. LCEC should put me on their payroll since I mention them so often, and it is always positive news. Here’s the latest from their July “News”. “During the summer, electric costs can sometimes rise due to high temperatures and increased use of air conditioning. But for the second time this year, LCEC customers will see their bills going down thanks to a rate decrease that will go into effect July 1. LCEC is passing on savings from a reduction in the cost of power, resulting from a 2.1% rate decrease for residential customers. LCEC rates are the lowest amount electric cooperatives in Florida. LCEC rates fall 11.6% below the state average of all utilities. 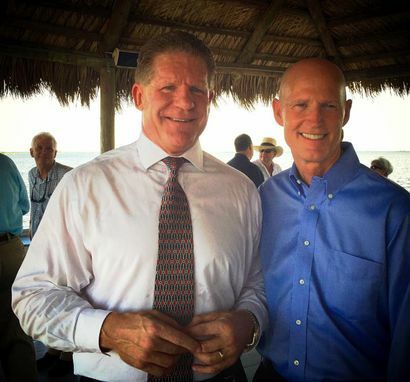 “Sanibel Mayor Kevin Ruane joined Gov. Rick Scott in Bokeelia on Tuesday, July 14, to announce the funding of eight local projects within the Caloosahatchee watershed aimed at protecting and improving local water resources. “Attending the announcement at the invitation of Gov. Scott, Ruane took note that watershed runoff accounts for more than 50% of the water volume that we receive annually and therefore is one of our greatest challenges to restoring the quality flows to the Caloosahatchee Estuary. 3 price changes: Tennisplace E31 2/1.5 now $359K, White Caps South #5 1/1 now $525K, Heron at The Sanctuary II #1B 2/2.5 now $650K. 1 new sale: Tennisplace #D31 1/1 listed for $239K. 2 closed sales: Seascape #201 3/3 $1.705M, Seascape #205 3/3 $1.705M. 2 new listings: 760 Windlass Way 3/2 $1.089M, 1083 Bird Ln 4/3 $3.795M. 2 price changes: 1806 Ibis Ln 3/2 now $450K, 1525 San Carlos Bay Dr 3/2 now $1.675M. 5 new sales: 976 Sand Castle Rd 3/3 half-duplex listed for $495K, 499 Leather Fern Pl 3/2 listed for $625K, 554 East Rocks Dr 3/2 listed for $699K, 1291 Sand Castle Rd 5/3.5 listed for $779K, 657 Birdie View Pt 3/3 listed for $999K. 1 price change: 0 Sabal Sands Rd now $329K. 1 new sale: 1815 Ardsley Way listed for $197,555. 1 closed sale: Lands End Village #161 3/3 $1.85M. 1 new sale: 11516 Andy Rosse Ln 6/6 listed for $2.349M. 1 closed sale: 16428 Captiva Dr 7/8/2 $8.6M. 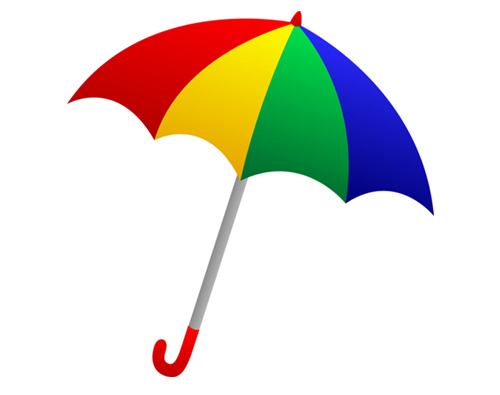 Until next week, keep the umbrella handy – or just wait a minute – that’s about how long it takes for the summer weather to change here on the islands! 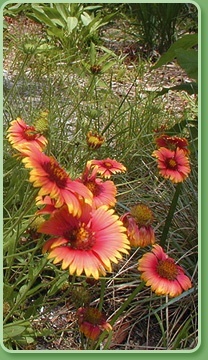 This entry was posted in Captiva real estate, Florida property, Florida real estate, Real estate, Sanibel Island, Sanibel real estate, SanibelSusan, SanibelSusan's Blog and tagged Conservation Foundation, LCEC, MLS, Native Plant Nursery, RPAC, SanibelSusan, Water Projects by SanibelSusan. Bookmark the permalink.